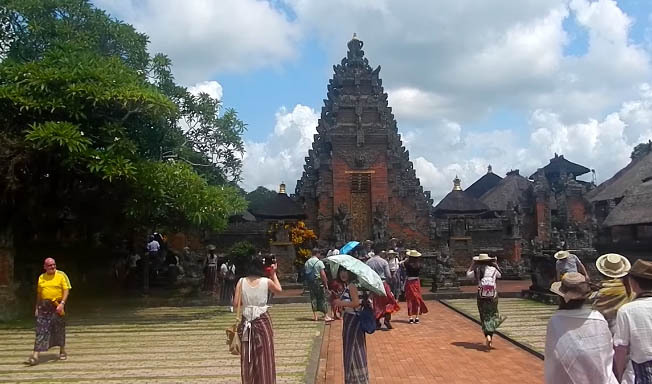 Batuan Temple is one of ubud & gianyar temples area that is very thick with Balinese culture, here you will be able to see art sculptures from Balinese people in ancient times. Located in Batuan Village Sukawati Gianyar Regency. In the temple parking area, there is an ancient building called Wantilan, this place is used as a meeting room and practices every type of Balinese dance as Gambuh Dance, Pendet Dance, etc. Before you enter the temple there are several local people in Wantilan who will lend ‘Kamben’ (traditional Balinese costumes). It is a must for tourists to use 'Kamben' to show our respect for the holy place. To enter this temple, you will not be charged for entering. however, local people expect every tourist who visits this temple to contribute in the amount of money to support the maintenance of the temple. There has been provided a simple donation box, where the Balinese give the title "Medana Punia". 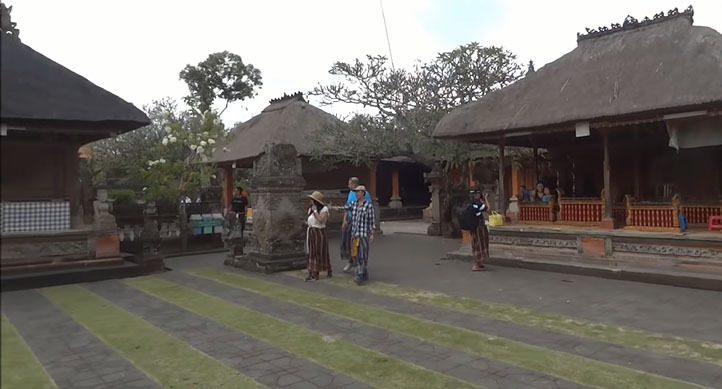 On the central courtyard there is an old building called Bale Agung and Bale Kulkul. In this yard there is also a high entrance to the Bali Gate called Kori Agung, which is flanked by many guardian statues in the form of giant statues. Next to Kori Agung there are two small doors for people to enter into the main courtyard of the temple. Batuan Traditional Village is one of several old villages on the island of Bali. The natural beauty of the village coupled with houses that are hundreds of years old, can be a special attraction for every tourist who visits.